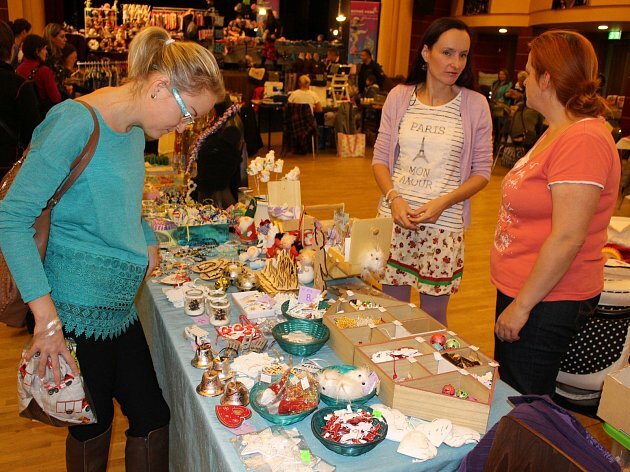 Cheb – Free Fler Market was a unique opportunity to meet the world's creators of fler.cz and buy original gifts for their loved ones or to make them at workshops, there was also a hospice bazaar on Sunday, November 25 in Cheb Svoboda. And that it is a proven and successful event, confirmed by dozens of people who enter Freedom. "Ceramics was a cheerful novelty, an angelic place", said organizer Lenka Houtke. Any interested person could take the angel according to his ideas. During the 10-year jubilee, almost ten dozen merchants and makers waited for not only gift items, but also fashion and handicraft items for visitors. Decorations and jewelry from the author of different styles were also available. "Other and not the only novelties were wooden cutouts and interactive kits, they become very popular as workshops – painting on fairy-tale wooden figures, animals, means of transport, but also kits for their own decoration, assembling and of course playing," added Lenka Houtke. His hospice bazaar was also represented. New workshops and workshops were available for the people.